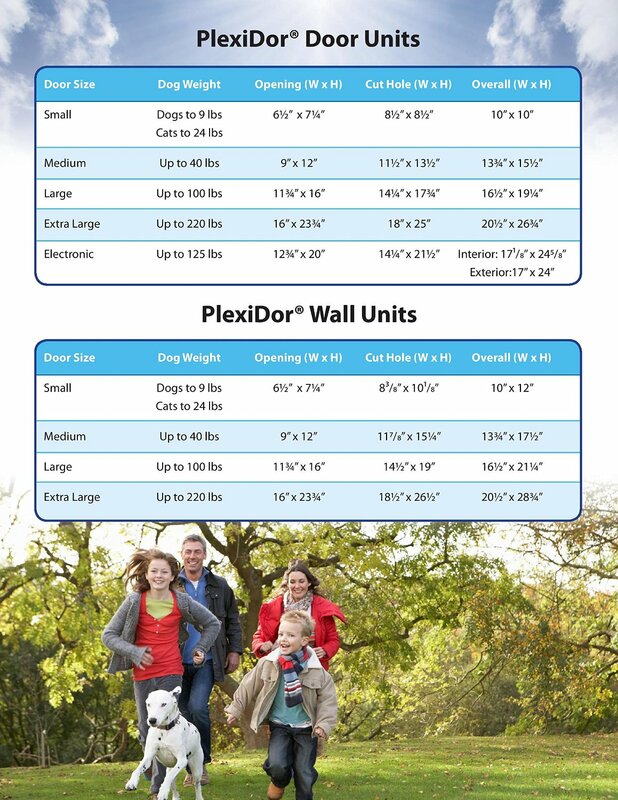 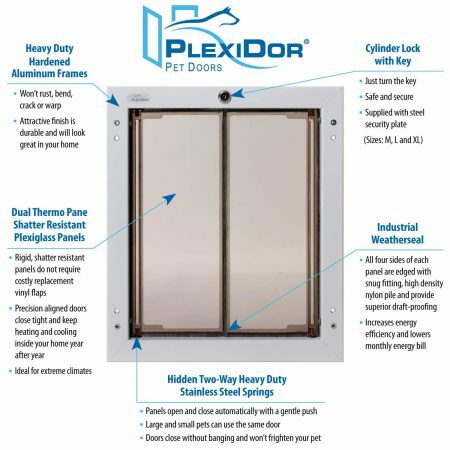 PlexiDor® Pet Doors are professionally engineered and manufactured in the USA from quality materials to be the very best: quiet, energy-efficient, completely secure, long-lasting and most importantly safe and easy for pets to use. 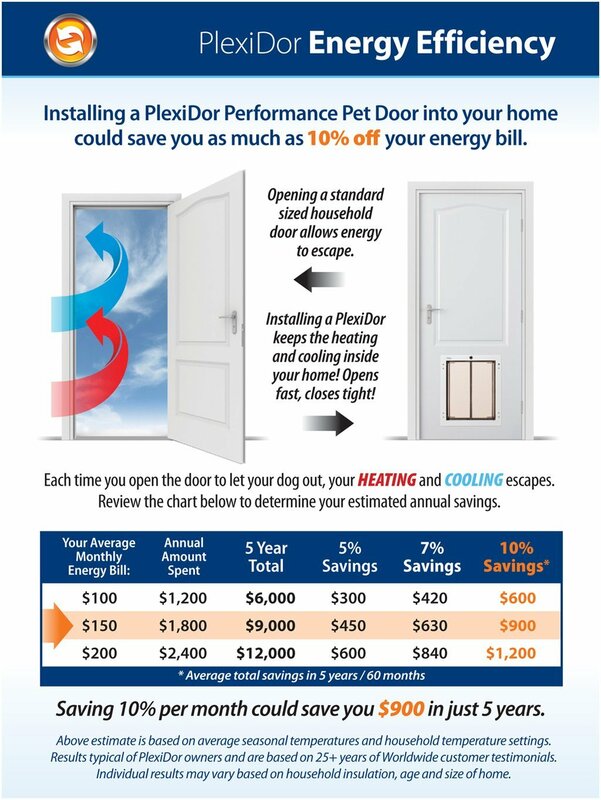 10 year limited warranty for residential use! 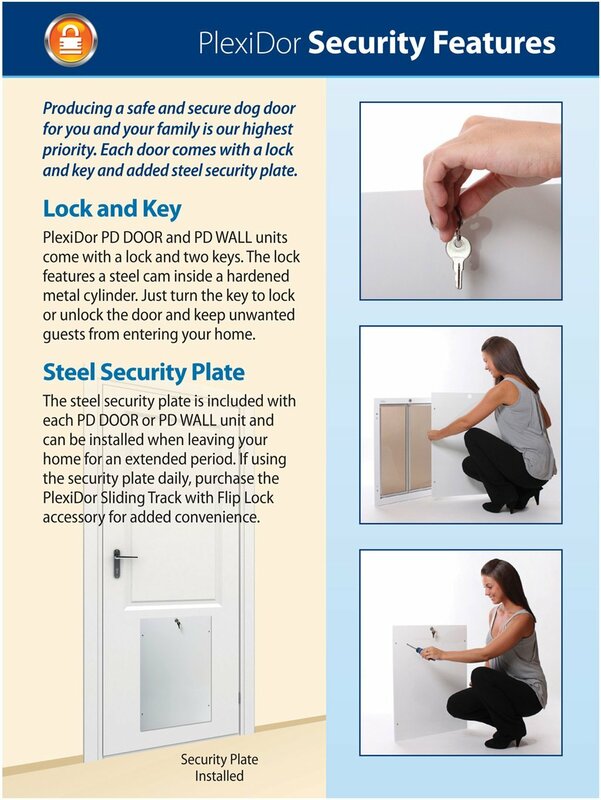 Secure – Doors have key locks for daily use and a separate metal security plate that can only be unscrewed and removed from inside your home for additional security. 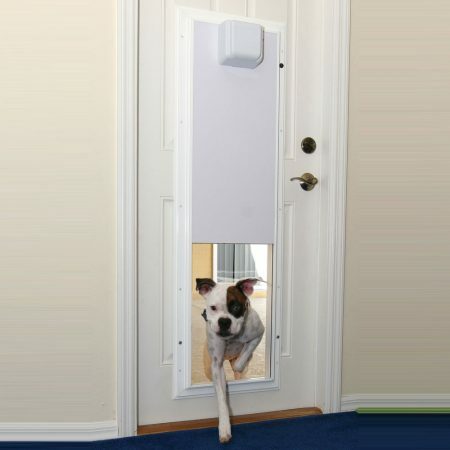 Safe and Easy To Use for all Pets – See-thru shatter-resistant acrylic panels open smoothly and quietly both ways with a gentle push like a café style house door and close automatically without banging. 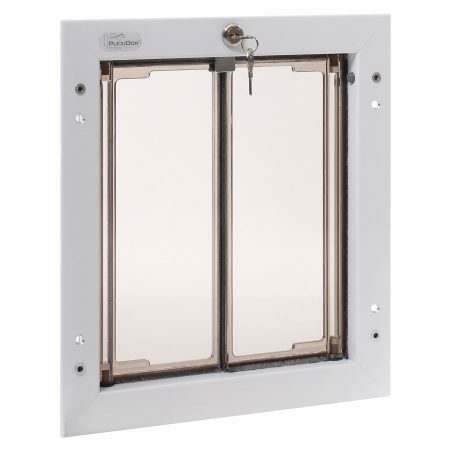 Unique twin panels need only light pressure to open them, so large and small pets can use the same door. 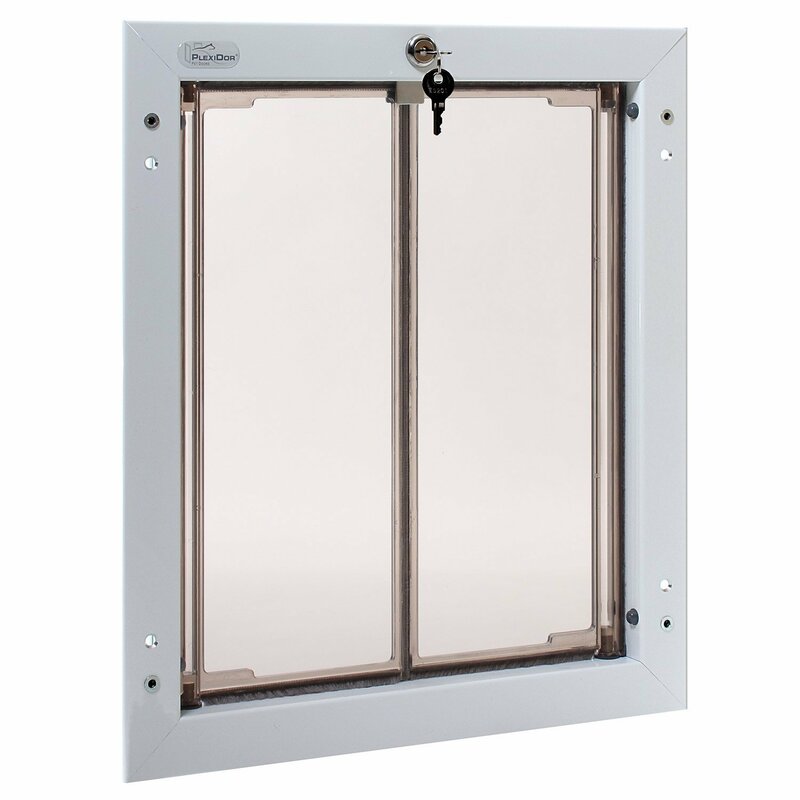 Energy-Efficient See-Thru Panels – The panels are molded to form a duo ‘Thermo pane’ effect for excellent insulation, and edged with snug fitting, high-density, nylon pile weather seal to provide superior draft-proofing, ideal for extreme climates. 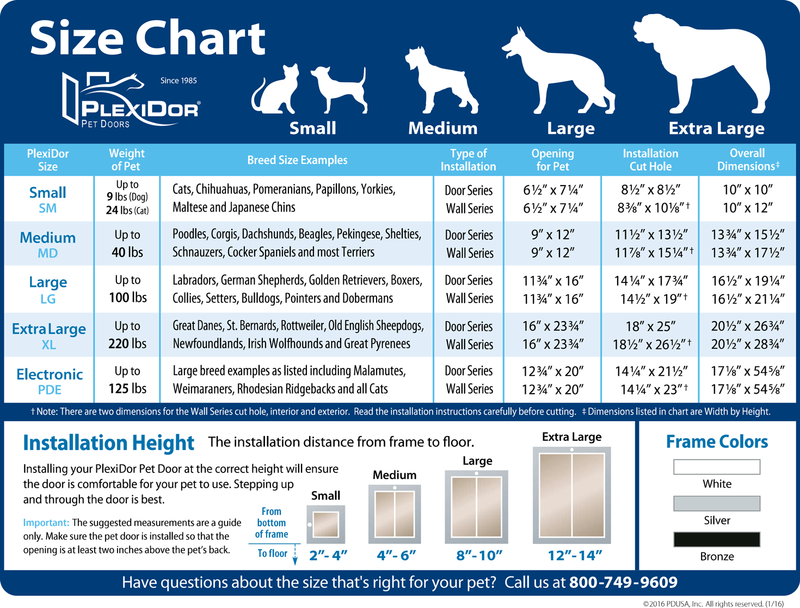 Size XL is a solid 3/8″ thick sheet of acrylic. 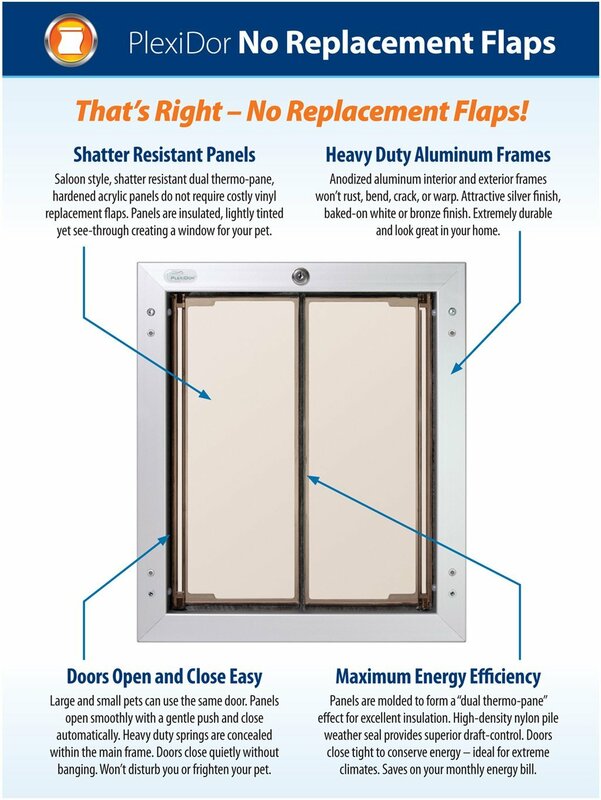 Heavy-Duty Frames – Anodized aluminum won’t rust, crack or warp. 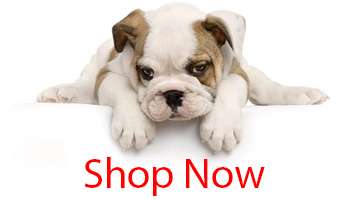 Attractive satin finish or baked on white, brown or designer colors. 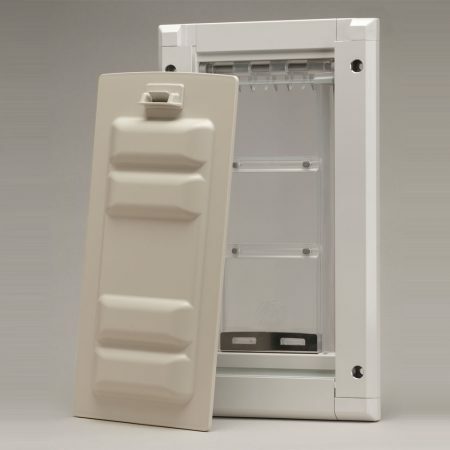 This PlexiDor® model can be used on doors up to 1 3/4″ thick. 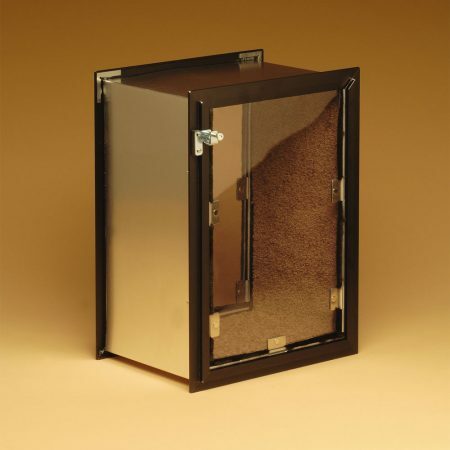 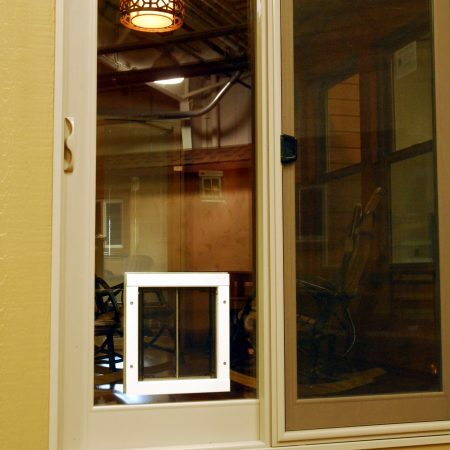 Included with the purchase: pet door with lock, security plate, and exterior trim pieces. 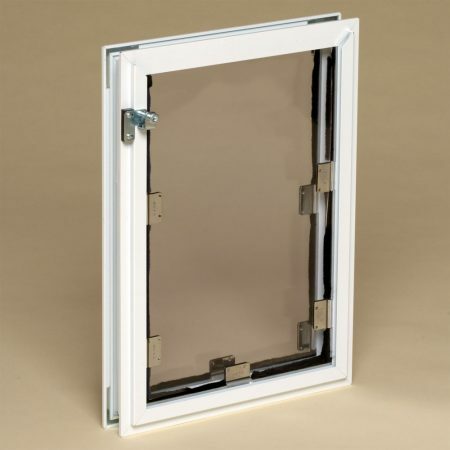 SAFE AND EASY TO USE: See-thru acrylic panels open smoothly both ways with a gentle push. TWO-WAY SELF-CLOSING: Panels close automatically when pet has gone through. 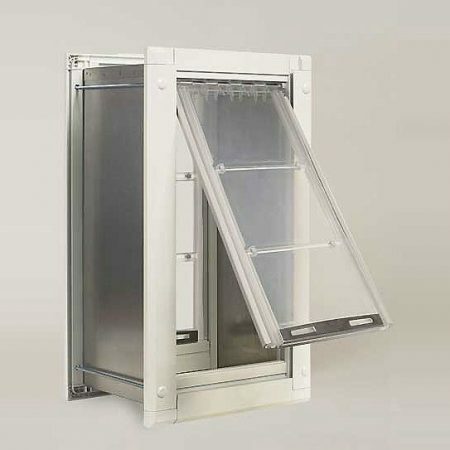 Mechanism is concealed within the main frame of the dog door.